Thanks to a nice bump from Netflix, You has become everyone's new favorite show of 2019. Of course, Joe Goldberg is not the first fictional stalker-slash-serial-killer to make you question everything from your own social media security to your attraction to an actor's cheekbones. Below, 10 other shows you should watch if you enjoyed the experience of You and never want to leave your house ever again. If the act of watching Jamie Dornan play a dangerous and twisted game of cat-and-mouse with Gillian Anderson is wrong, I don't want to be right. For eight seasons, Michael C. Hall played Dexter Morgan, a serial killer who also happened to be a forensic technician specializing in blood spatter pattern analysis. Feel free to skip this if blood isn't your thing, but know that the majority of this list is um, pretty splattery. Darren Criss' portrayal of Versace's killer Andrew Cunanan earned him both the Primetime Emmy for Outstanding Lead Actor in a Limited Series or Movie and the Golden Globe for Best Actor—Miniseries or Television Film. His work is so bone-chilling, you will definitely have some sleepless nights (which is why a 10-hour binge works best here). Before she was Beck, Elizabeth Lail starred in this supernatural horror series set in the 1980s at a Midwestern summer camp from the creator of Once Upon A Time. Unlike OUAT, this show was canceled after just one season (which technically still makes it super bingeable). With just eight episodes, this bingeable series is returning in 2019 with a second season. Run—don't walk—to finish season one so you can join everyone else in obsessing over Eve Polastri and the assassin she's obsessed with, Villanelle. Also, Sandra Oh is a badass. The only thing you need to know about The Alienist is that beautiful human Luke Evans is in it and that the show is nothing like Beauty and the Beast. This German series centers around a killer who collects body parts for… you guessed it: perfume. At just six episodes long (with a second season on the way), you'll want to cancel everything and watch with the lights on. Sorry to anyone who doesn't understand the attraction of Mads Mikkelsen, who played the complicated Hannibal Lecter for three seasons. 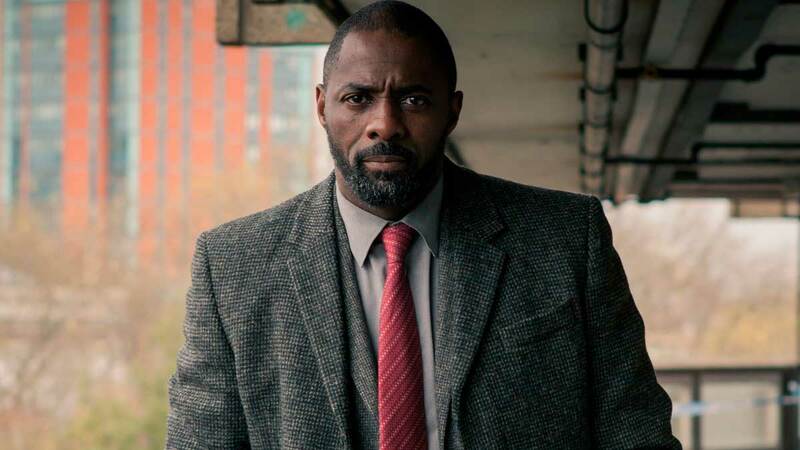 Go ahead, let DCI John Luther (Idris Elba) take care of you. Since season one, the show has decreased in the number of episodes from six in season one to four in season five. Unfortunately, that means limited Idris screen time, but take what you can get, I guess. This also starred Milo Ventimiglia. There is absolutely nothing scary about the show, but hands up if you are a fan of Penn with long hair.